Good service means being in good hands especially when it comes to production systems running 24/7. At 3D-Micromac we provide this peace of mind. Our qualified service team is available around the clock and worldwide offering fast and reliable service. As trusting and cooperative partners, our experts provide technological solutions from the initial idea to series production. In the application laboratory, we model every step of process-and-technology development, offering immediate support to our customers from pre-testing feasibility and prototype-and-functional prototype development, to mini-series. We provide advice during the process development-and-optimization, and together with our customers, find the most economic production solution. Along with delivery, assembly and commissioning, we offer user training as well as custom-tailored maintenance and service contracts. Reliability and competence are our strengths. We remain the point of contact for our customers across the entire life cycle of the system. Our experts develop and optimize technological solutions from the first idea to maturity for serial production in our own application lab. Thereby, special emphasis is put on a close co-operation with the customer from the very beginning. All stages of the process and technology development, from preliminary tests to feasibility and the development of (functional) prototypes to low level production are undertaken in our application lab. We determine and test suitable components for your process for which we have a number of different laser sources (ns, ps and fs laser) at hand. We consult you in terms of process development and optimization and develop the most economical production concept, adapted to your requirements. After the start-up of the machine, we support you together with our customer service in the optimization of the process. On request, we demonstrate the software and hardware of the various machines and provide operator trainings for the systems. Our lab is equipped with different turnkey systems of 3D-Micromac and a vast number of laser beam sources (solid state, excimer and CO2 laser) of all the leading laser manufacturers in the area of short pulse and ultra short pulse lasers. Depending on the defined task, different scan systems or fixed optics as well as automatic picture recognition systems are used for the process development. We have various microscopes (optical and laser scanning) at our disposal on site for an analysis of the machining results. Furthermore, electron microscopes (SEM) are available as well as tactile methods (DEKTAK) for a surface analysis in the sub-micron range. Our entire lab is in an ISO class 7 clean room, which can also be operated as ISO class 6. A team of experienced application engineers work in the laser lab. We work on tasks from different fields of micro material processing and it is our daily business to think through new, convincing ideas. Good service signifies being in good hands. This is especially important when production systems which run 24/7 are concerned. We give you this certainty: fast and uncomplicated. Our qualified service team stands by your side to offer help and advice: worldwide and from the very beginning. We cater for the delivery, set-up and start-up of the machines and are your competent point of contact for the entire life cycle of the system. 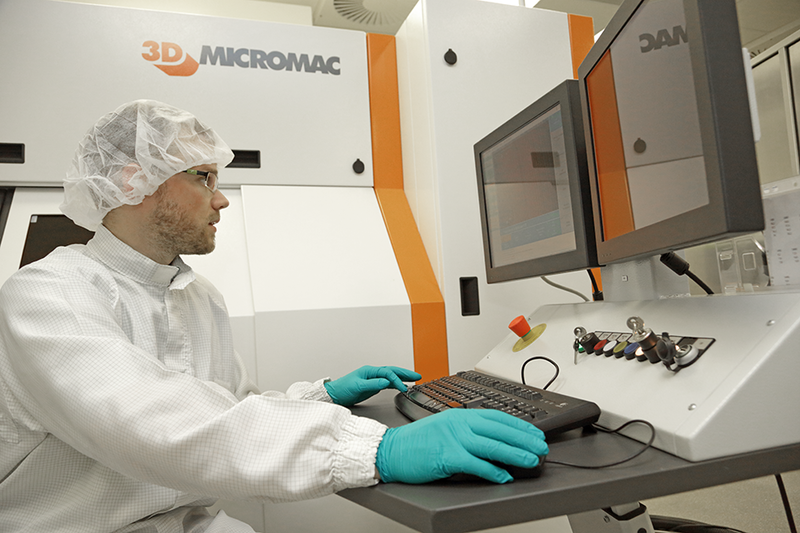 You can contact our service personnel on the service hotline +49 (0)371 40043-25 every working day from 8 am to 5 pm (CET) or via e-mail service@3d-micromac.com. In order to ensure your reliable production, we answer all of your questions concerning hardware, software and the monitoring of the machine parameters. On request, the service team offers remote as well as personal on-site maintenance. Our specialists provide you with in-depth knowledge adapted to the needs of the participants. Additionally, we offer training courses for your maintenance personnel, which concentrate on error analysis and correction. On request, the trainings can also be realized on-site in your company. In order to protect the running costs of a 3D-Micromac system, we offer you a broad range of different service level agreements. 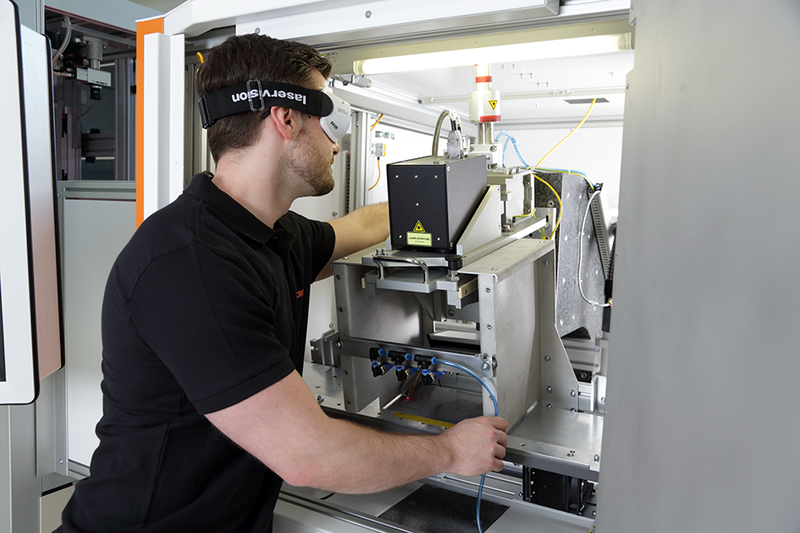 These include for example consumables and wear parts, all travel expenses, service from an expert on-site, a continuous maintenance of the system and call time constraints for all of the delivered systems, components and software delivered by 3D-Micromac.